Shia LaBeouf‘s “He Will Not Divide Us” protest is driving a serious wedge between protesters and the local pizza parlors. We’re told pies have been the go-to grub for Shia’s followers at the Museum of the Moving Image in Queens. 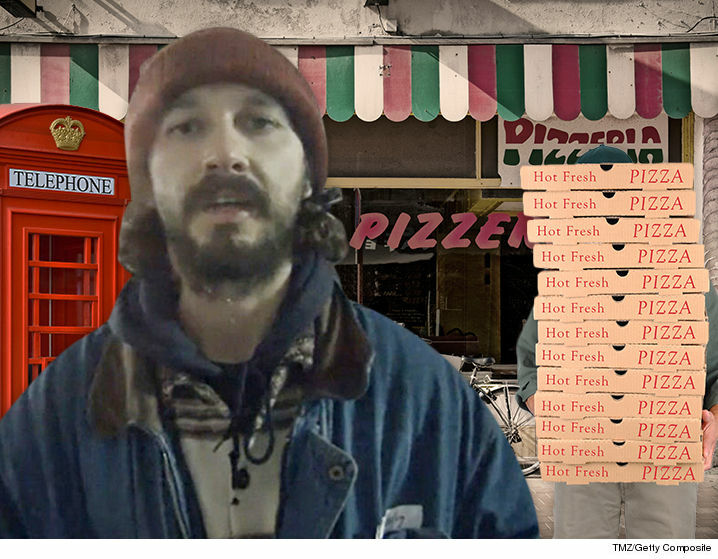 We’re told Shia’s been buying pies for everyone, but there’s never enough to go around so protesters order more. Problem is, no one wants to pay for the surplus. At least 3 local pizzerias — Romano’s Famous Pizza, Leo’s Pizza, and Papa John’s — all have a new rule — NO CASH ORDERS. They’re making people provide credit cards before the pies go out the door. Peaceful protest is your constitutional right. Free pizza is not.